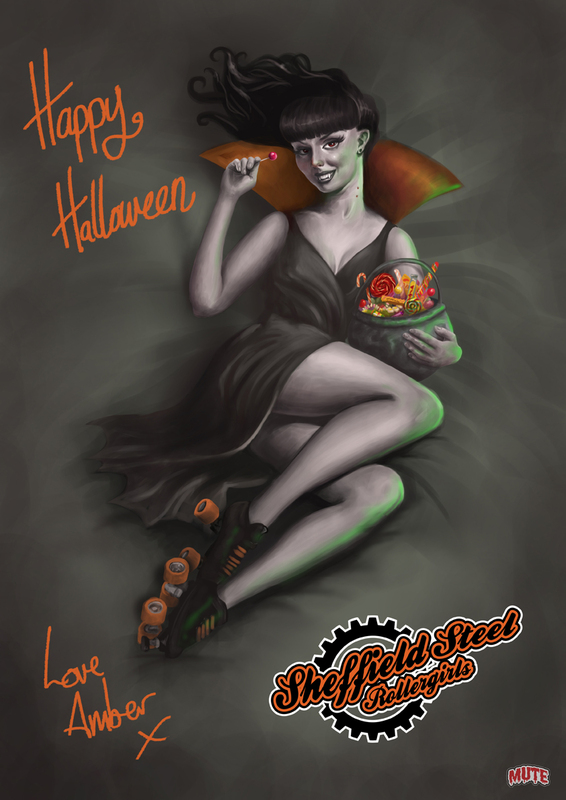 Well it's that time of year again...the last two years started an annual tradition of working on a fun Halloween themed piece for the Sheffield Steel Rollergirls. Both those times I've done costumed versions of the team logo but this year I went for something a little different. A continuation of featuring the team's mascot 'Amber' in Halloween costume, here she is a vampire Amber in a pin-up style.